Many of our readers around the world come to us via the global leader in social networking – Facebook. Today, we are delighted to announce that this pipeline has been further boosted by the launch of our own Facebook page. 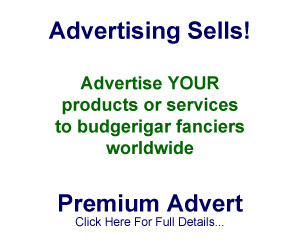 The page will feature all new posts published on Budgerigar.co.uk, enabling Facebook users to quickly access the latest news, information and photographs. Please help us to spread the word about our fantastic hobby – don’t forget to click on the “Like” button on our new Facebook page! Fantastic! When I saw the link to Facebook I was the fifth lucky person to click the “Like” button – with any hesitation, because it is a sign of international budgerigar friendship. 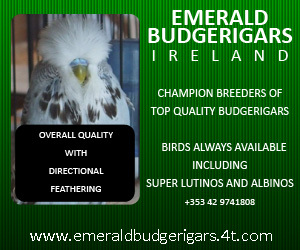 It is a wonderful idea to involve all the world budgerigar breeders through the Internet – and the use of Facebook provides extra power to connect. I personally joined Facebook last year and now I have around 2,500 birds/animals fanciers in 425 destinations including world top budgerigars breeders. I’m proud to be a part of the Budgerigar.co.uk website. Brilliant site well done hope to read lots of info to help me develop my small stud. Congratulations on this new idea Gerald. I have always felt that Facebook is a great medium to segway into any website. There are may followers worldwide on Facebook eager to learn. Thanks to Facebook and this outstanding web site, budgie breeders all over the world can stay in touch. Thank you Gerald for this web site – and most of all thank you for all you have done over the years to greatly improve the betterment of our hobby. You have done so much for us all and I thank you very much. It is really great that we have so many great Champion Breeders that are willing to share their hard learned knowledge with the rest of us – who are trying hard to learn as much as we can! Thank you all for all you do to improve our beloved hobby. I am disabled, so I spend a lot of time with my birds. Some day I hope to reach the heights that so many great breeders have reached with their outstanding birds. May you all have a great season.